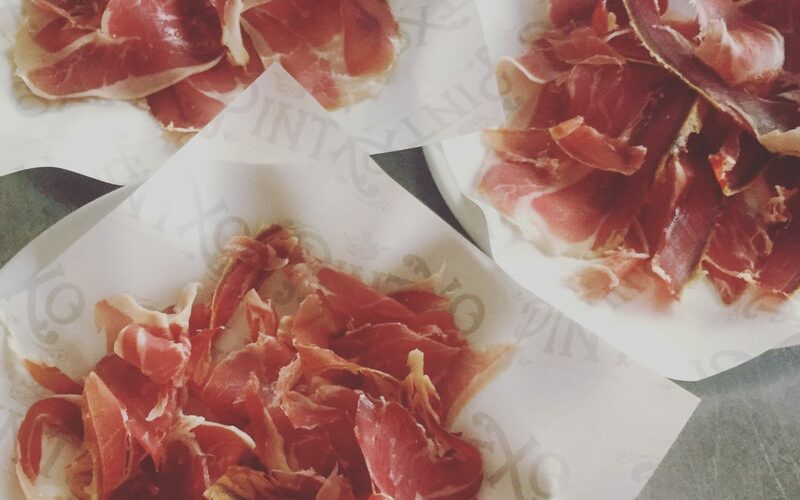 We have many Spanish loves, from awesome albondigas to creamy croquetas, mouthwatering Manzanilla to a rich Rioja, however our biggest love of all has to be a plate of the exquisite Jamón ibérico, arguably the greatest food in the world! 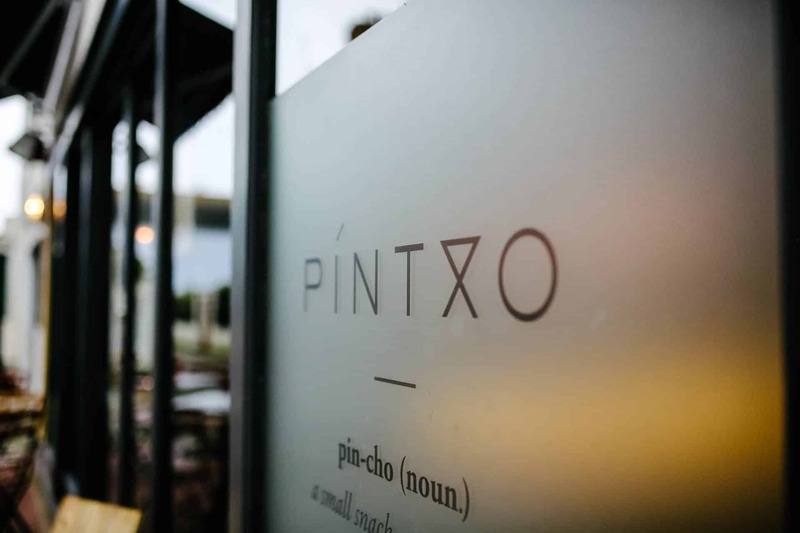 At Pintxo, we take a great interest in the fantastic produce we use and love nothing more than digging deeper into the history and facts of these products we are lucky enough to serve. When extending our knowledge of the honoured Iberian pigs, we were absolutely amazed to learn that Spain produces an astonishing 40 million hams a year! 40 million! 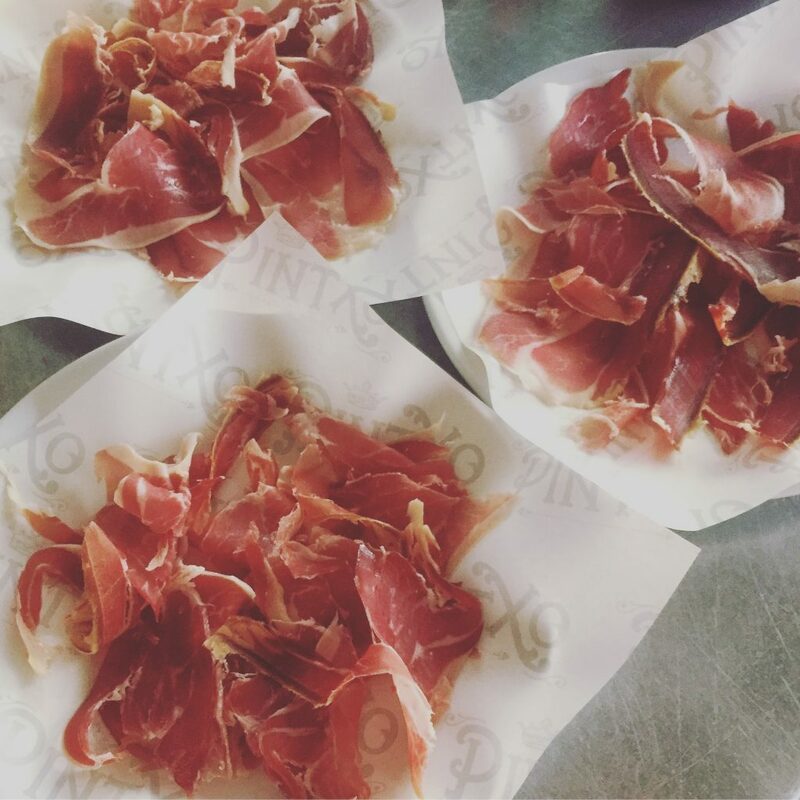 This includes the excellent varieties of the famous jamón serrano (served on our delicious charcuterie plate) made from the dry-cured legs of the white pig and produced in regions such as Teruel and Trévelez in eastern Spain. But, cruise over to the west slightly more and you will come across the finest jamóns there has ever been! In the regions of Salamanca, Extremadura and Andalucia a breed of pig known as the black Iberian thrives on bellota (acorns) which have fallen from the trees onto the dusty Dehesa. You may have come across “pata negra”, this is another Spanish nickname for these meaty pigs with their slender legs, which refers to their trademark black hooves and remain on the pig the entire way through its curing proccess. The jamón ibérico business is serious stuff and is strictly regulated, similar to that of wines, sherry and manchego cheese. The controlled Denomination of Origin (DO) covers four regions; Salamanca (north), Huelva (west), Valle de Los Pedroches (east) and bordering Andalucia in the south, is Extremadura. Iberian piglets are fed on a diet of cereals and acorns until they are nearly 18 months old. The final three months or so of their lives are spent out in the Dehesa (grazing ground) during what’s known as the montanera, a period from October 1 to January 1 when acorns fall from the oaks. The pigs must feed on enough acorns and reach the DO-specified weight of 160kg to gain the coveted title jamón ibérico de bellota. The regulations also specify that there should be no more than two pigs per hectare of land to ensure that each pig can eat the required amount of between 6 and 7kg of acorns a day! It is this lavish diet that produces the signature waxiness on the hams. The curing and ageing of the hams is no less important than the rearing and butchering of the animals. The front legs, the paletas, and the rear legs, the jamones, are chilled overnight to allow them to firm and then covered in Andalucian sea salt for approximately one day per kilo of weight. They are then washed and hung to dry allowing the natural flora to form on the surface. This final part of the curing process can take up to three years, after which they are ready for sale. But not before one final check from the DO inspectors, who test the hams one more time by inserting a sharpened beef bone and sniffing to check the quality of the cure, what a great job! And there you have it, the fascinating process of producing the best Jamón known to man! We recommend starting your Pintxo journey off with a glass of chilled, salty Manzanilla from Sanlucar de Barrameda whilst nibbling on a plate of this luxurious tapas, the two together are just a match made in Spanish heaven! Buen provecho!